Versatile is a powerful, professional, premium WordPress theme made for blogs, portfolios, businesses, or almost any other kind of website. Versatile’s admin panel gives you full control over every major design feature of the theme. Color and font options for elements such as backgrounds, links, text, titles, headings, and logo text are all extremely easy to alter to your specifications — you can customize your website more than you could ever imagine. Take a look at the list of features below to see everything included in this premium theme and make sure to check out the demo. 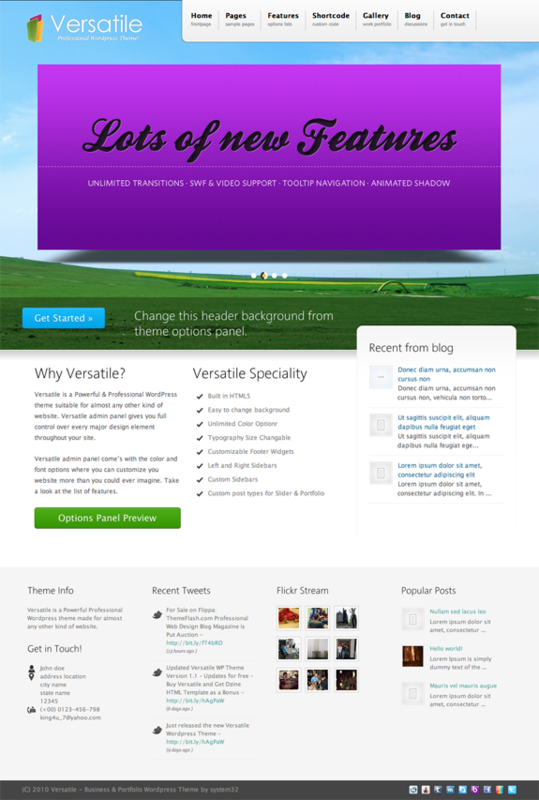 Come back and check out the showcase as we find more sites from around the web using Versatile.